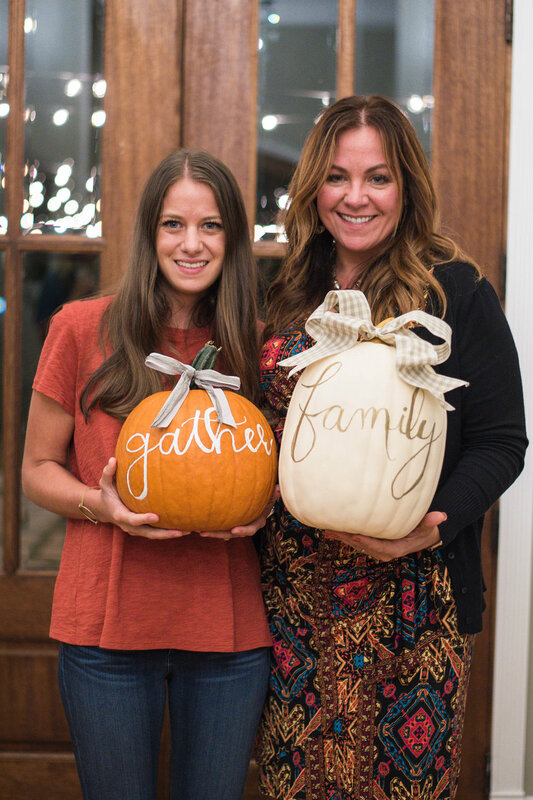 Last week, my friend Amanda and I kicked off the Fall season by hosting our first workshop together - Basic Girls Night Out: A Pumpkin Lettering Workshop. 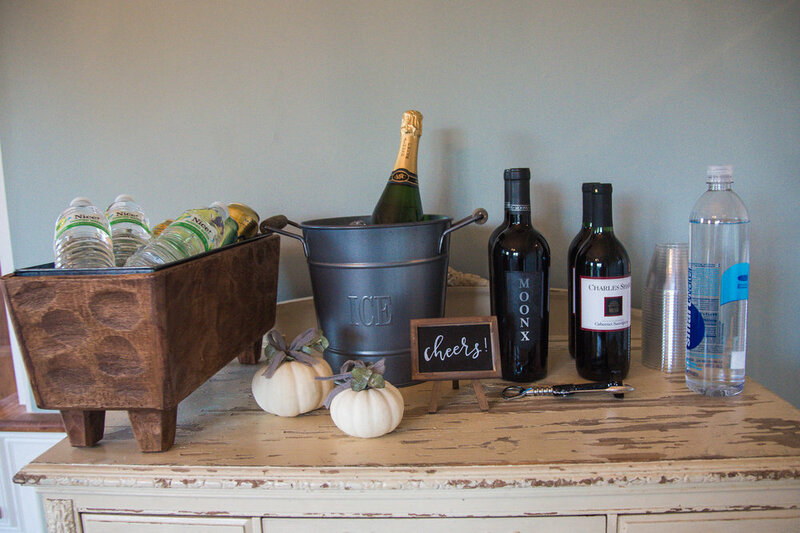 The event took place at the Bradford, one of our absolute favorite wedding venues located in New Hill, North Carolina (just outside of Raleigh). 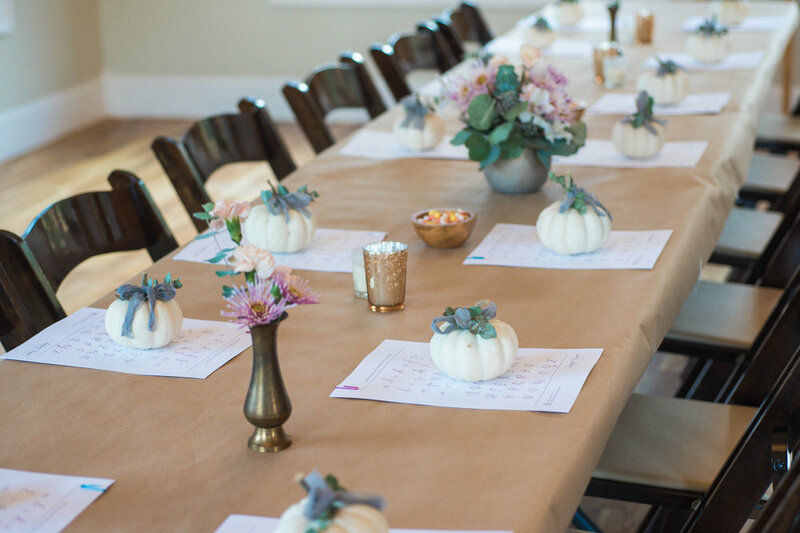 Amanda and I combined our expertise – her planning & styling and my calligraphy & hand-lettering – to create a chic workshop event that celebrated all things Fall. And we did just that! 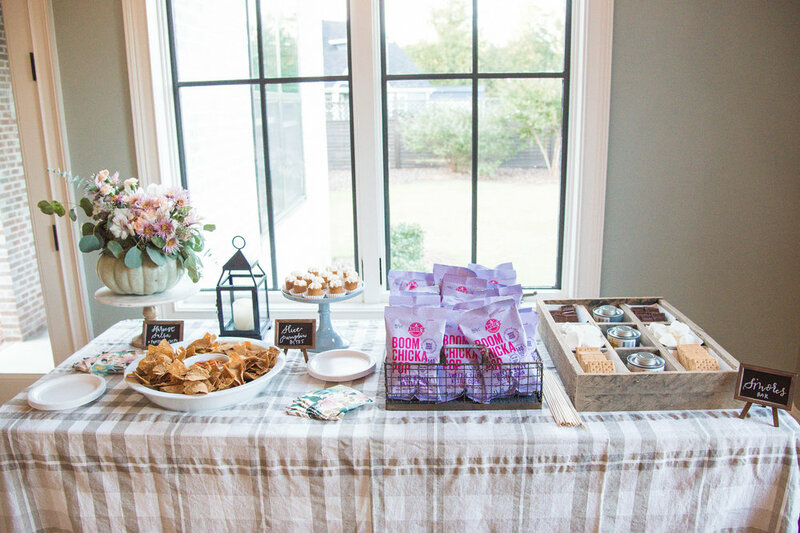 Amanda of Amanda Blair by Design is a wedding planner and stylist (with impeccable taste might I add!) and she set the tone for the night with her gorgeous Fall design. 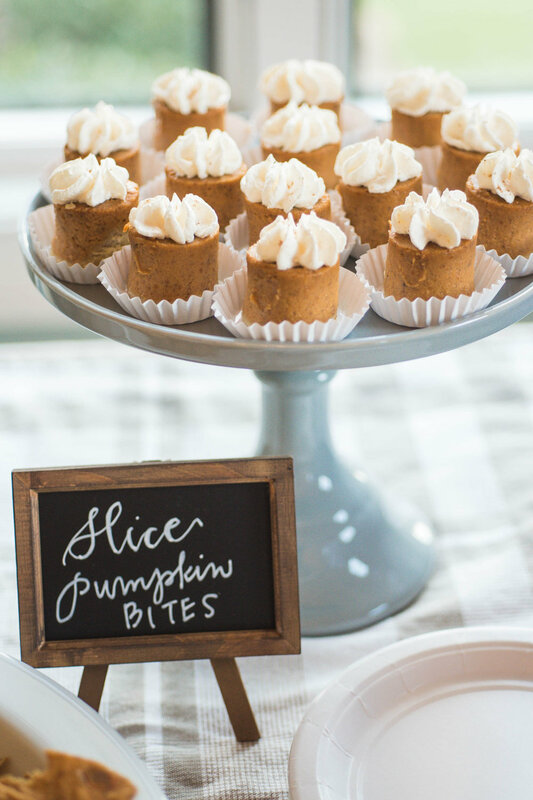 The workshop started off with mingling over PSL's, a s'mores bar, mini pumpkin pies, other yummy Fall snacks and of course, wine – all of which were perfectly styled by Amanda! She even created the most beautiful pumpkin floral arrangements. This girl is so talented! 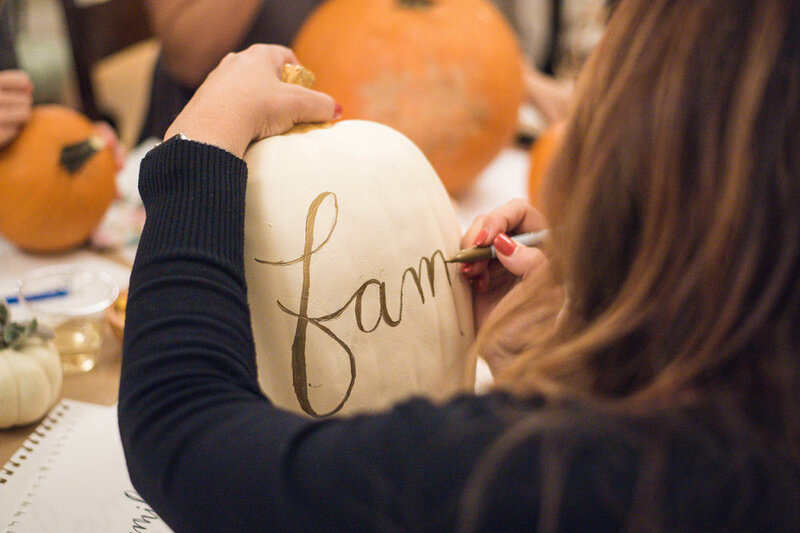 Once all of our 16 attendees arrived with their pumpkins, I taught them the basics of hand-lettering and how to develop their own lettering style. After they nailed down the hand-lettering techniques, I taught them how to apply hand-lettering to their pumpkins. It was so much fun to see what each girl chose to write on her pumpkin. 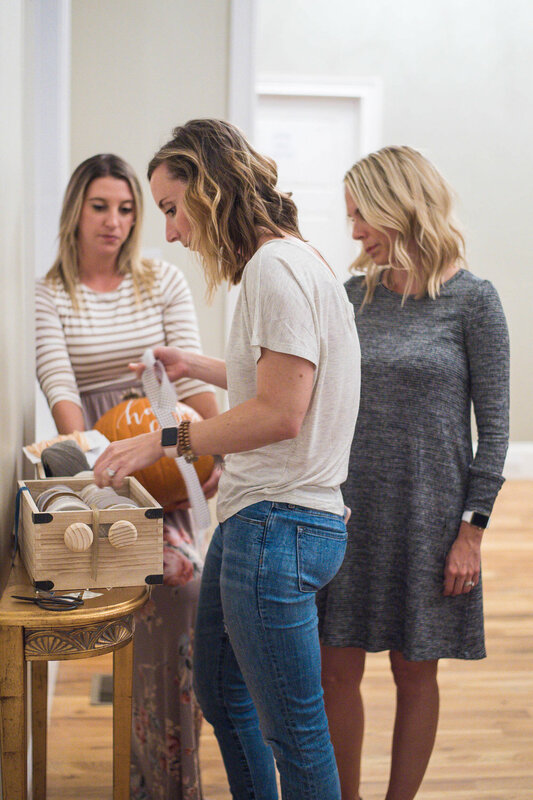 One attendee was newly pregnant and planned to use her pumpkin as part of her pregnancy announcement. How sweet is that?! 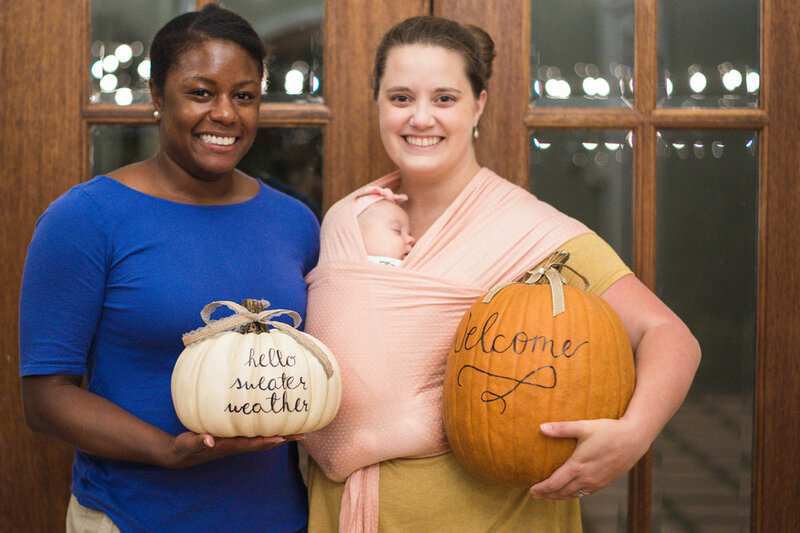 I was so impressed with everyone's pumpkins – they turned out so adorable!! 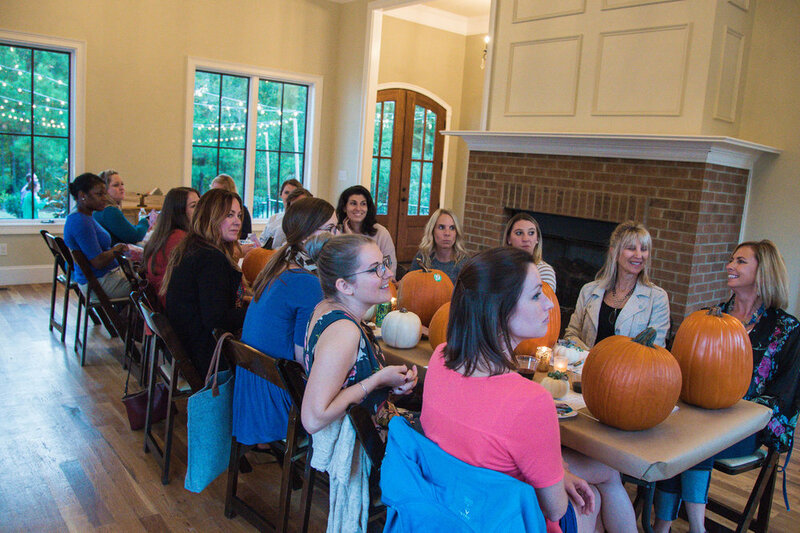 Amanda helped each attendee complete their pumpkin with mix and match ribbons. They were so beautiful! 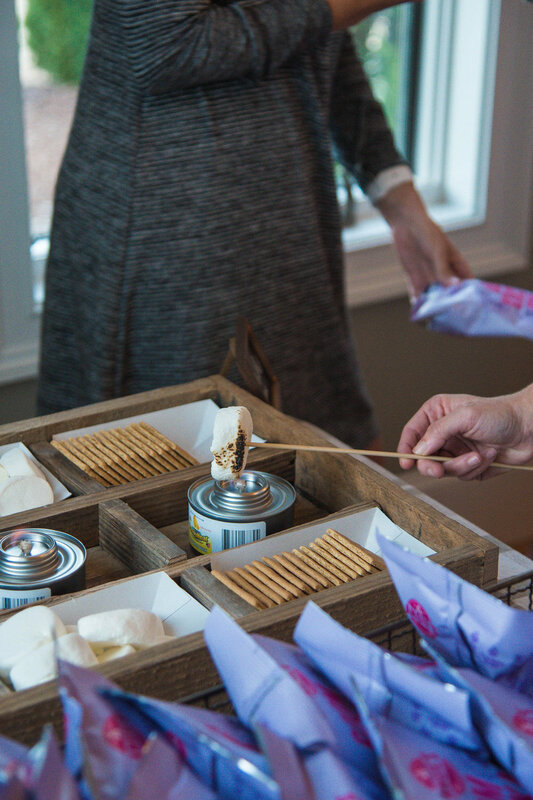 Our event was photographed by Arika of Arika Jordan Photography. She definitely captured the joy in our hearts that night. I couldn’t have asked for a better event and this was definitely my favorite workshop yet! 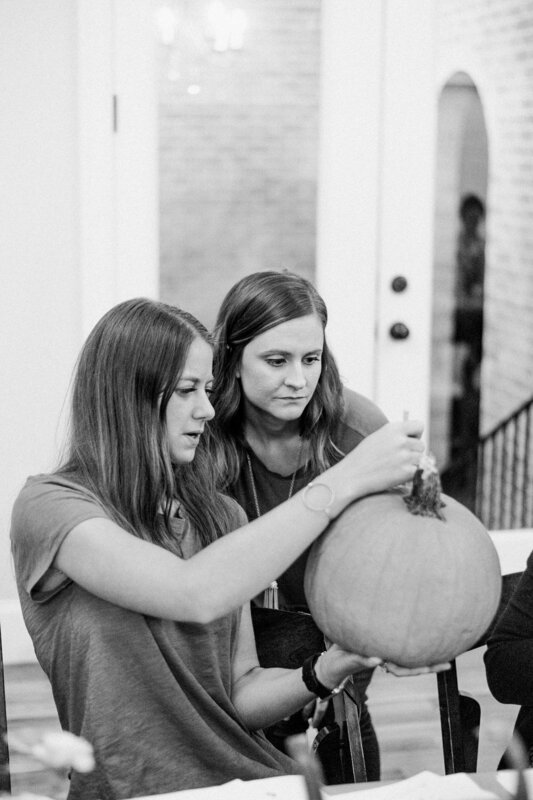 Thank you Arika for taking these amazing photos and joining in our basic Girls Night fun!!! 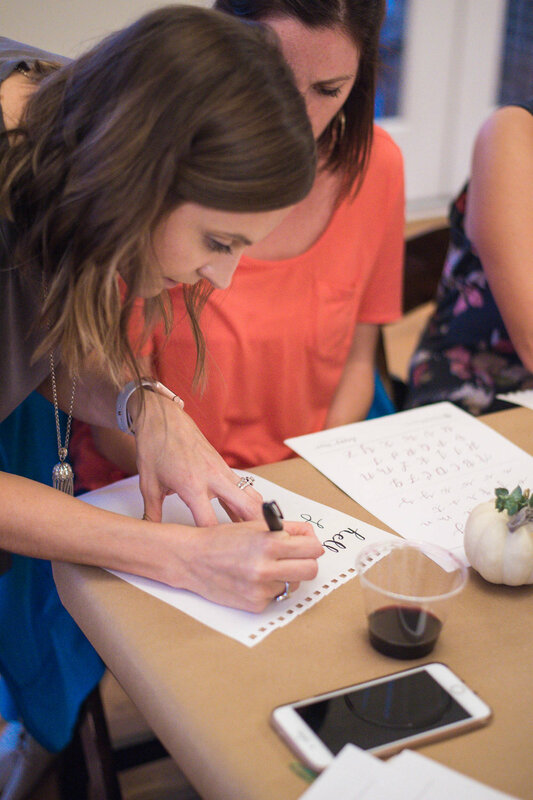 Would you love to attend one of my calligraphy or lettering workshops? Sign up for my email list! 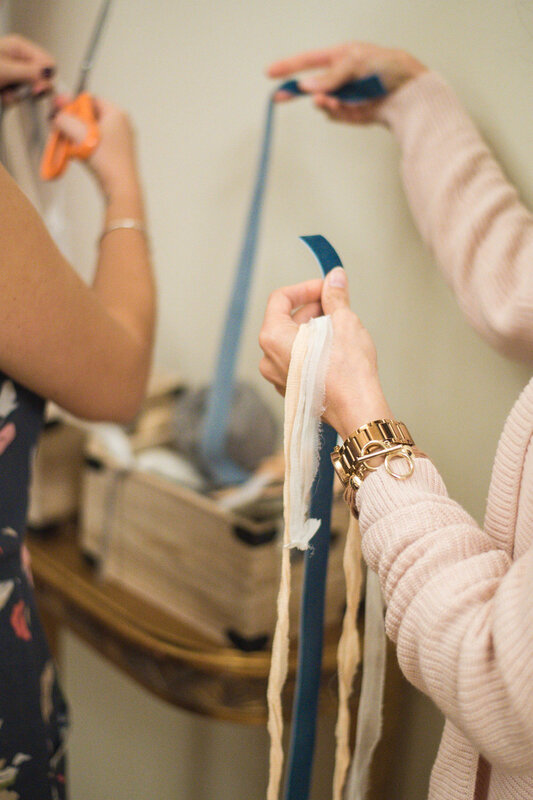 My email list is always the first to know about upcoming workshops so be sure to subscribe so you are in the loop. My next Beginner Modern Calligraphy Workshop will be held at the ZEN Succulent in Downtown Durham on Sunday, October 22. You can find out more info here. I hope to see you at a future workshop! 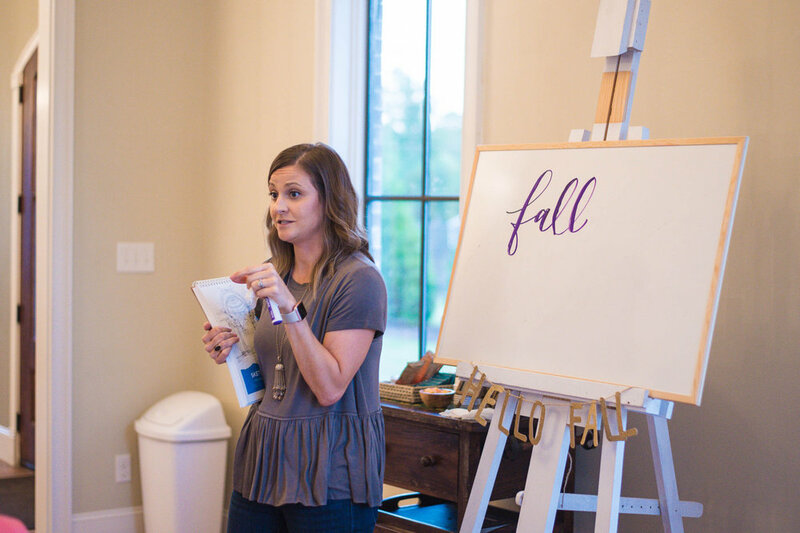 I can't believe Creative at Heart Conference Raleigh was just two weeks ago! This was my second C@H conference so I am officially a Creative at Heart alum. I attended C@H Round 4 Annapolis and it rocked my world to say the least. If you have ever spoken with me about C@H, you know that I could go on and on about how amazing of a conference it is. 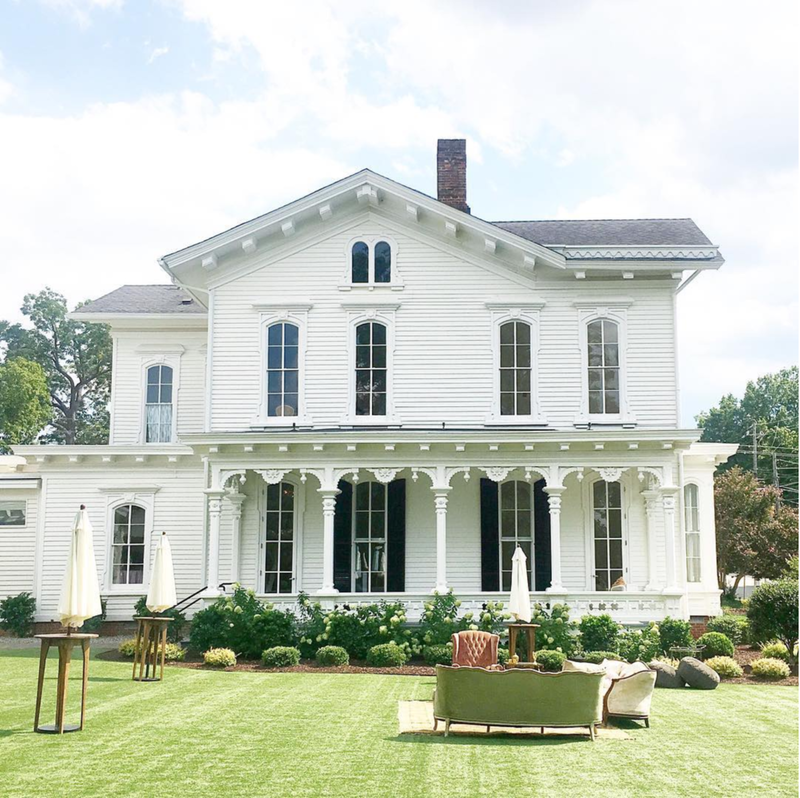 This time it was held at the GORGEOUS Merrimon-Wynne House in downtown Raleigh, which turned out to be the perfect venue for 130+ creative entrepreneurs to gather for 4 days. Amidst all of the jam-packed valuable content, we were surrounded by so much pretty! The poster I designed for the conference! The conference this year was a bit different for me than the last time I attended in March of 2016. This time I went with a new job title – a mom – so my perspective and priorities have shifted quite a bit. When I heard that C@H was coming to Raleigh, I knew that since I live only 20 minutes from the venue, that I MUST go... regardless of the fact that I would have a 2-month old at home. I would be fine... right? In all honesty, for the first couple days, I found myself feeling guilty for being there and away from Wesley during the day. This was my first time away from him for a longer period of time so it was definitely difficult. After the first full day of the conference, I cried big tears when I got home and finally held Wesley. I missed him so much! Along with being a new mom comes new mom things such as taking regular pump breaks during speaking sessions and finding myself becoming emotional during several of the talks thinking about my sweet baby boy and my super supportive husband. Having a baby definitely brings out your tearful side! 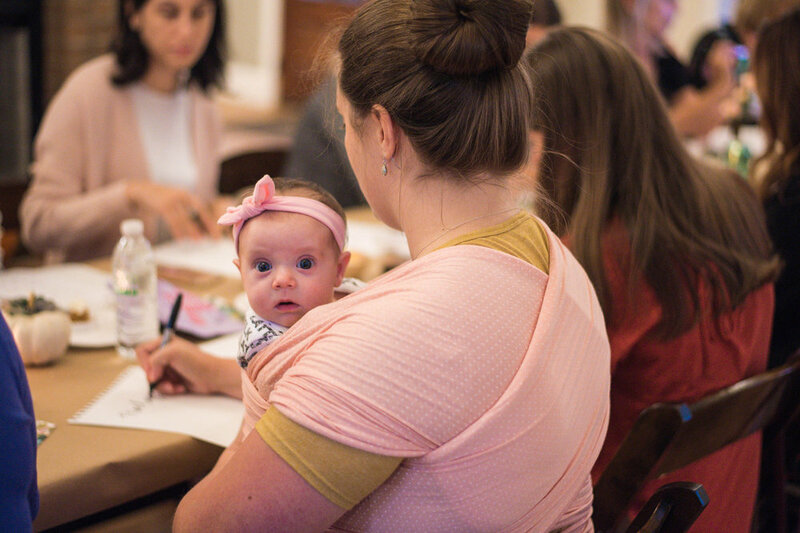 Despite feeling so many new mom feelings, this conference was really special to me for several reasons. I had the awesome opportunity to design the name tags and the welcome sign for the event. I created an original illustration of the gorgeous Merrimon-Wynne house (Thank you C@H team for asking me to do this!! <3). 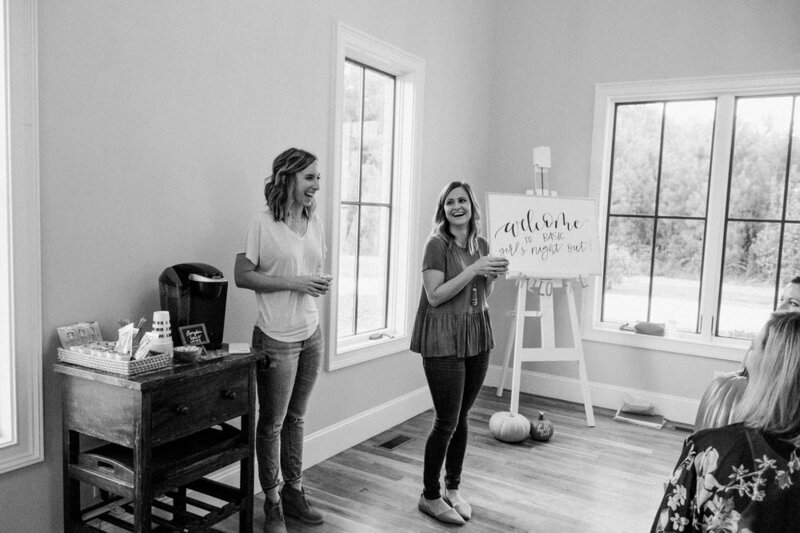 I also hosted a pop-up shop next to a fellow North Carolina calligrapher, Maghon from All She Wrote Notes! I created an art print of the Merrimon-Wynne house using the illustration from the name tags & welcome sign (you can shop the print here!). Seeing powerhouse speakers such as Katelyn James, Ashlyn Carter and Lara Casey (who surprised everyone on Day 1!) was such a treat!! For these real, authentic in-person connections. To be surrounded by women who simply "get it". They understand what it's like to wear all the small business hats of owner, designer, CFO, bookkeeper, marketer, etc. They understand what it's like to have tearful nights where you question everything about your business and want to quit. To re-focus on not just my business but myself. And to understand that it's perfectly okay and HEALTHY to do so. Although I had doubts about being away from Wesley for the days of the conference and taking this time for myself, I think those feelings are normal for any new mom. This conference was much needed, completely worth the investment and I am so grateful for all of the women who I was able to connect and re-connect with and who helped inspire me. I can't wait to watch everyone's businesses grow and see where we all go from here. Here's to the creatives! 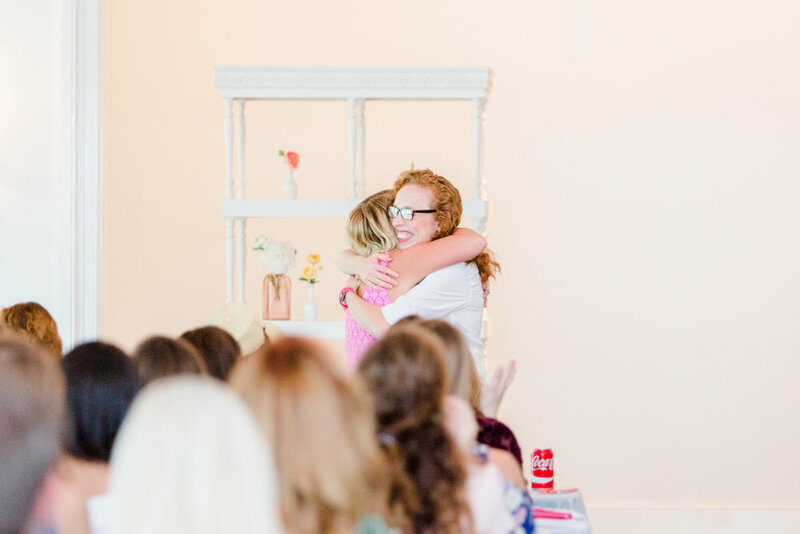 I have to give a big THANK YOU to my photographer friend, Holly Felts, for capturing all of these BEAUTIFUL photos from the conference! Have you been thinking about attending a Creative at Heart Conference? What questions do you have? Let me know in the comments below!